So much to do, and so much of it delightful this time of year. I’ve just returned from an early Christmas week celebration in the Midwest with family and friends, so facing the REAL Christmas week seems almost an afterthought, now. And of course there’s my “other” job tugging at me, not to mention my wife has broken her ankle and requires a lot more personal attention. If she needs surgery, that’ll happen on Christmas Eve. Isn’t THAT special! #1 – Stay healthy! Nothing stops VO production faster than a sore throat, stuffy nose, and drainage. Wash your hands endlessly, watch out for sick workmates, friends, and relatives. Get a flu shot, and get sleep. #2 – Plan for finances, taxes Start collating your records, getting out last-minute invoices, talking to your accountant, and ramping up your bookeeping. #3 – Look Back What worked for you this year? What’s your ROI on conferences, marketing, social media, newsletters, mailers, and coaching? Take time to add up the metrics and make some hard judgements. 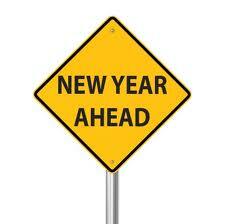 #4 – Look Ahead Whether you think New Year’s Resolutions are essential or wasted time, it pays to think forward. Instead of calling it a “resolution” just make a master “wish list” of what you’d like to accomplish in order of importance. #5 – Service What have you done for a fellow voice-actor, or for the voice-acting community? Nothing pulls you out of a funk like doing something for someone else. Have you joined WoVO yet? This organization is moving in directions that will benefit the business of Voice Overs, and it will be better WITH you than WITHOUT you.